Over the past 30 years Les Miserables has undergone significant changes with the making of the movie and the removal of the famous turntable. The current production now uses Victor Hugo's artisry backdrops and has incorporated bits and pieces of the movie into it. This is the complete and only score that weaves the entire story together. Philip Quast and Michael Ball stand out in their roles of Javert and Marius. 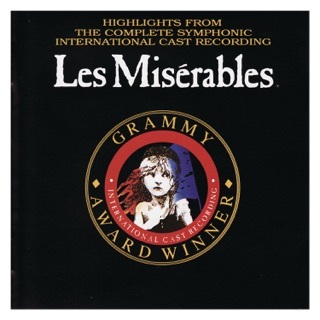 This is a must for Les Miz fans who want to relieve the dream of the complete original soundtrack of the production. Real talk—this album is wonderful. 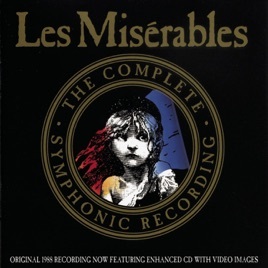 The absolute best recording of Les Mis. But I have to echo the comment before mine. The company who holds the rights to this version removed this from iTunes sometime in the last year or so. For those of us that bought it before for FULL PRICE we couldn’t download it again. Even Apple couldn’t help me even with proof of purchase way back in 2013. For those out there wanting to purchase this, buy it at your own risk. It’ll probably be taken off again at some point in an effort to get you to buy it again. This is a great album. That’s why I bought it before. But then the apple store took it away and are now reintroducing it and are charging me to buy it again. Really not fair because this is the only complete version on recording out there.